The changes in East Germany have occurred with breathtaking speed. Beginning with the 9th of November, there was only a very short time period to discuss the possible avenues of further development. 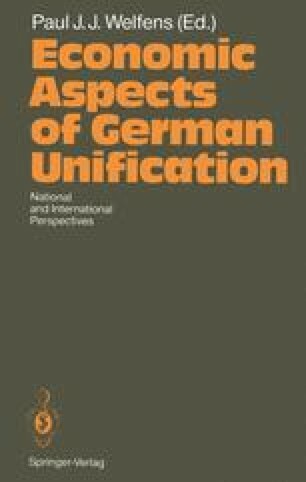 Already in the early 1990s the people of Eastern Germany had been unambiguous in expressing their wish for unification with the Federal Republic of Germany. Meanwhile the foundations had been laid and unification had taken place.